I am a big fan of mango. During my school and college days, I always looked forward to the mango season. I love all types of mangoes. After moving to Singapore, I get mango almost everyday especially Thai and Australian mangoes. Even though I buy those types of mangoes and enjoy them, I still look forward to the Indian mango season. 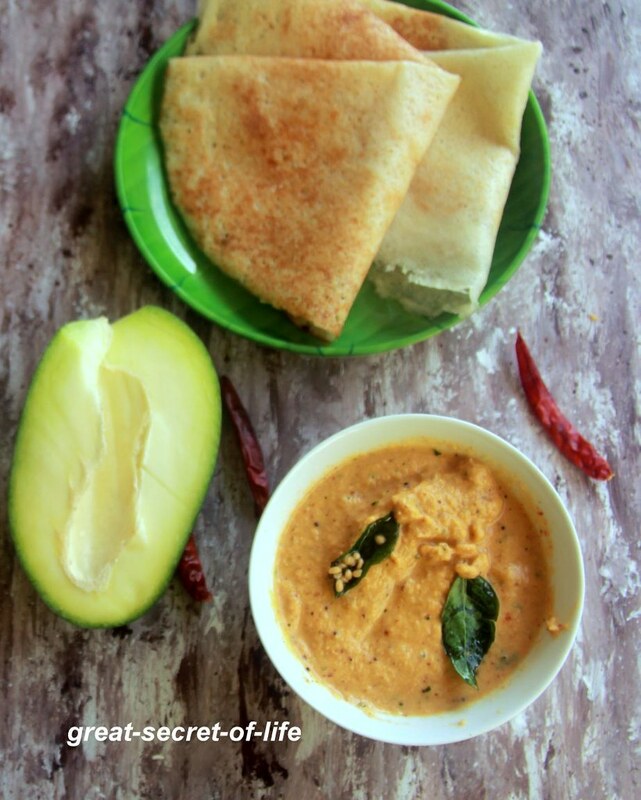 Now coming to the recipe, I have posted kache aam ki chutney, and a simple Mango chutney with coconut, however, when I was in Chennai, I have tasted this version. I loved it. So I decided to give it a try (I never get bored of mango). 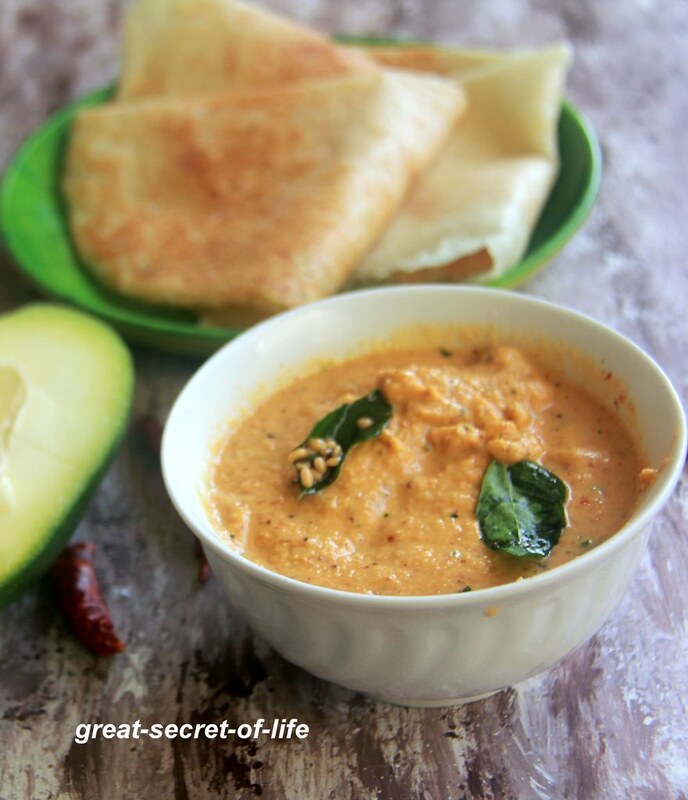 This one is with dal and it is perfect for idli and dosa or even with hot, steamed rice. I made it a little spicy. My mango is sour so, there was no need of any tamarind. 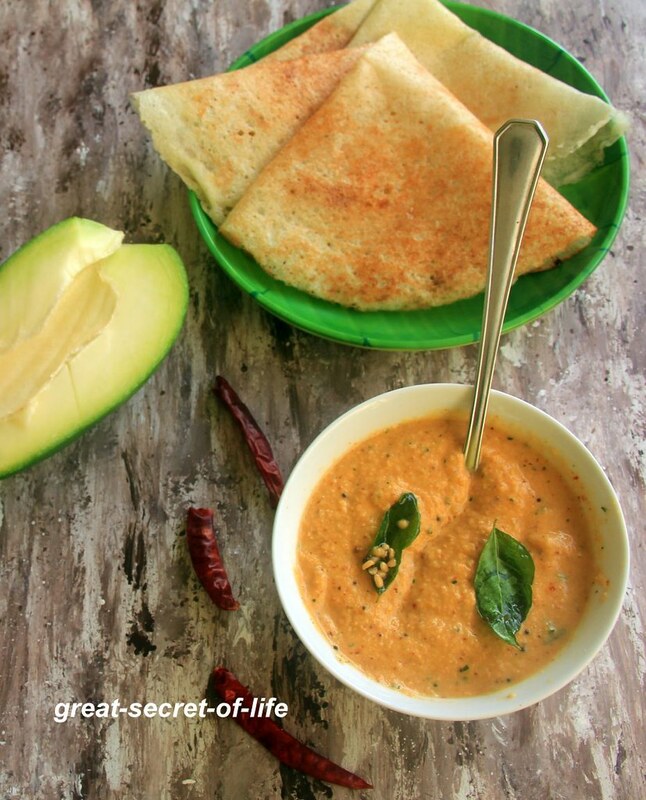 If there is not enough sourness, you can add tamarind. Heat 1 teaspoon oil. Add Bengal gram dal, red chilies and fry till brown color. Add asafoetida (hing) and fry for 10 seconds. Add coconut and sliced mango. Fry for 2 minutes.